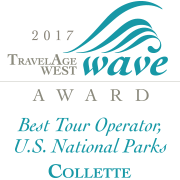 Backed by a century of experience, Collette is proud to bring our guests on extraordinary travel experiences around the world. Our passionate team of expert Product Designers search the globe to create new and exciting journeys for our guests. With seasoned professionals planning your once-in-a-lifetime experience and expert Tour Managers at your service, you can be sure that every detail has been handled so that all you have to do is relax and enjoy your tour. Collette’s Tour Managers are the best trained and most respected in the world. Drawing on their own rich backgrounds and extensive training, they enhance each journey. Whether it’s with a bit of historical information, suggesting a special local restaurant or sharing a laugh, these travel aficionados are at your service. It all starts with perfectly planned itineraries. Our tour design team travels the globe, seeking out new and authentic inclusions. Along the way they vet each element of their tours – from the accommodations to the menu choices – ensuring you have the best possible experience. It’s a tough job, but it’s well worth it to hear how much our guests enjoyed their tour. It’s always nice to be recognized for a job well-done. Every award we receive is an honor and it keeps us striving to provide you with even more award-winning products and experiences. We’re always in the process of gathering feedback from our guests so that we can improve our tours based on their comments. We are honored that our travelers take the time out of their busy days to write us letters, make videos and review us on Feefo and Facebook.